Have you ever seen a film star wearing braces? No, we’re not talking about Michael Douglas playing Gordon Gekko in the film Wall Street! We are talking about real celebrities in real life wearing orthodontic braces. So probably your answer is NO! Yet the truth is that you’ve probably seen lots of celebrities – film, TV, showbiz and even royalty who were wearing orthodontic braces … it’s just that you couldn’t actually see the braces. As the Orthodontics Manchester specialists we come up against this type of comment so many times, but do you know what? With the massive improvements made in orthodontics treatments we can now fit the most advanced braces that are practically invisible and virtually undetectable. Just like the celebrities – only you will be aware that you’re wearing them. If you click on our Orthodontics Manchester page you will see an overview of the different treatments our specialist orthodontics team can offer. These include Fixed Braces, Lingual Braces, Invisalign Clear Braces, and Removable Braces. Each one of these options provides a different solution to correcting crooked, misaligned or over-crowded teeth without the need to wear ugly, obtrusive metal braces. Ask anyone who has enjoyed treatment at Carisbrook Dental Orthodontics Manchester clinic and they will tell you that straightening their teeth not only gave them the freedom to smile but by doing so also dramatically improved their self-confidence. Fixed Braces do still include traditional ‘train track’ braces and these are still extremely effective in gently nudging teeth into their natural position. Modern fixed braces though can now include types that are very discreet with white ceramic material that certainly is not conspicuous in any way. Lingual Braces are today’s choice for many celebrities and lots of high profile people, including HRH The Duchess of Cambridge, have used them to enhance their perfect smile. These hidden braces are fitted to the back of the teeth so they can’t be seen meaning that no one except the wearer knows they are there. Only the most highly trained and experienced orthodontists, such as ours at Carisbrook, are qualified to fit this type of system. Invisalign Clear Braces are an advanced orthodontics system incorporating clear invisible retainers that will gently coax your teeth into position. 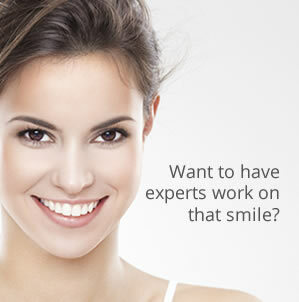 Invisalign braces can also be removed should you wish to for eating and socialising. Removable Braces. At Carisbrook Orthodontics Manchester we can offer a number of different options to suit the needs and lifestyle of our patients. The best thing to do is to make an appointment to discuss all these alternatives with our Orthodontics Manchester Team who will be pleased to talk to you and to actually show you the different options available. To arrange an appointment you can phone: 0161 951 7295 or you can send us a message via our Contact page and we will call you back.